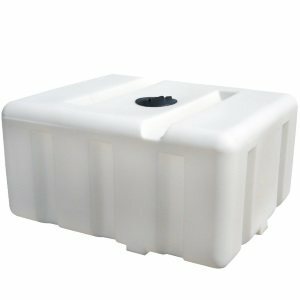 CRMI-300RT | These rectangular flat bottom utility tanks can hold a variety of contents ranging from agricultural chemicals to potable water. 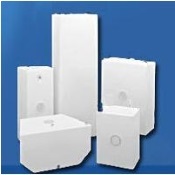 The small rectangular shape and lightness of these tanks makes them easy to transport. 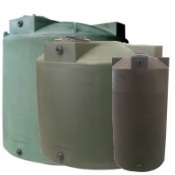 You can haul these tanks in the bed of a pickup truck. 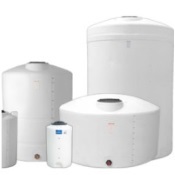 With these tanks, you can enjoy hassle-free use as they are easy to install and clean. 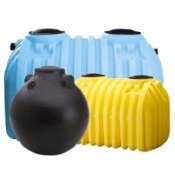 Manufactured to last, these tanks are made with UV stabilized polyethylene resin. 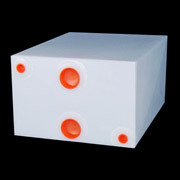 For stability and easy tie-down, these tanks are designed with molded-in grooves. 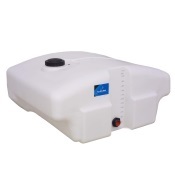 These tanks are also equipped with an 8-inch vented lid which provides ample room for filling and cleaning. 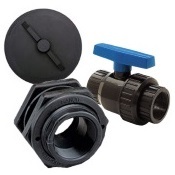 The 2-inch drain fitting allows you to empty tanks with ease. This is a 2.0 specific gravity tank.